Ours is a country that is fuelled by emotion and ambition. The dichotomy of lesser-known versus new-age India results in a large slice of the urban population being immigrant. An this large section of urban India tends to miss ‘belonging’ and ‘family’ in their lives. The youth of rural and Tier 2 India migrates to the metro cities for an upgrade in their standard of living. 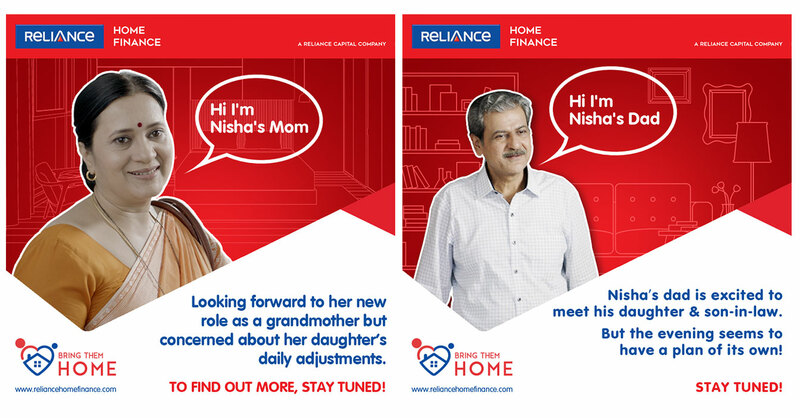 This insight tied in well with the brand philosophy of Reliance Home Finance which is to be a catalyst for those seeking an #Upgrade in their life, whether professionally and personally. The brand wanted to resonate with someone who is driven, as well as has a high EQ. On the ocassion of Parents Day, RHF struck a chord with this key demographic and lowest hanging fruit in terms of businss conversions through an emotionally driven digital-first video and social extensions through ancillary content and contests. The campaign approach began with the design language of creating a mnemonic logo unit and teaser content from the DVC to get the audience engaged, and then extended itself into high video consumption and UGC. We did this through strong and relevant TG connect of wanting to own their own space, with an #Upgrade to accomodate their loved ones. The DVC was also well apprciated as it encapsulated a strong and relatable scenario of modern day, working India.